Education Clarified provides a range of services aimed at making “the world of education simple to understand”. Schools are marketing themselves to parents, but the official reports and performance tables can, as Education Clarified says, be “daunting and unclear”. 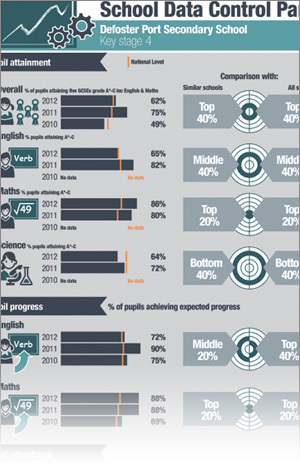 · Infographics that present a school’s Ofsted Data Dashboard all on one page. Education Clarified are now marketing these infographics to schools. Take a look at the infographics here and here.